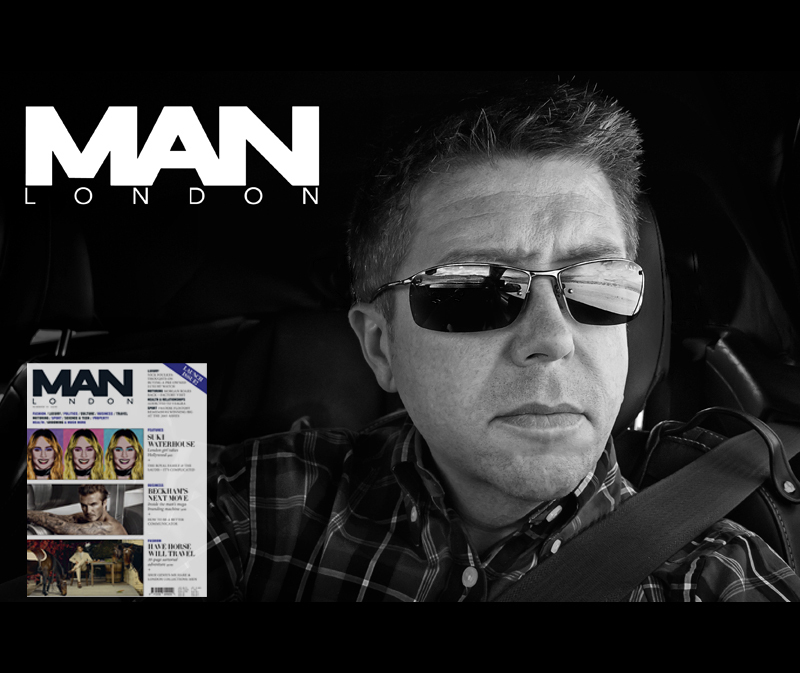 Tim speaks to MAN London and talks about some of his work over the recent years and his passion for what he creates for his clients. 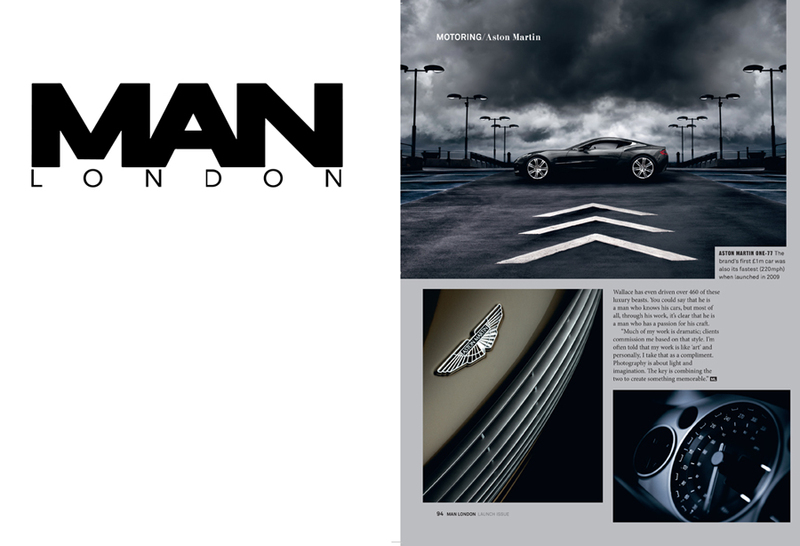 Aston Martin is the manufacturer all men admire, a fascination that started in childhood watching 007 films with your father. 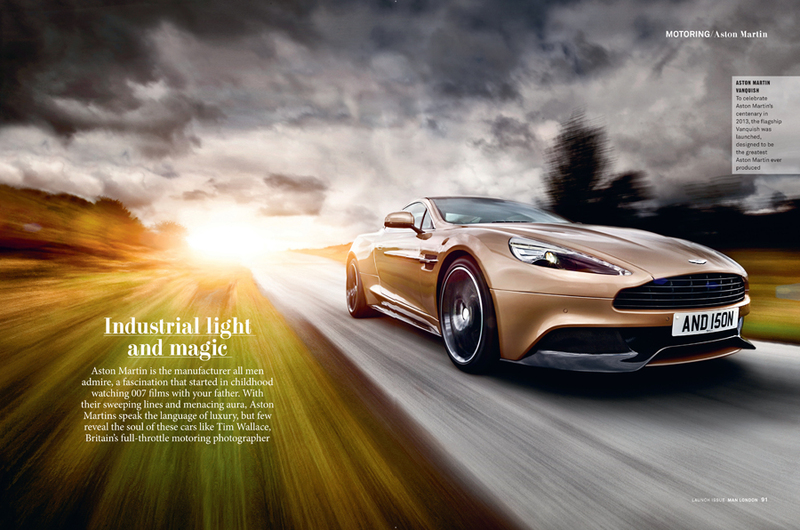 With their sweeping lines and menacing aura, Aston Martins speak the language of luxury, but few reveal the soul of these cars like Tim Wallace, Britain’s full-throttle motoring photographer. 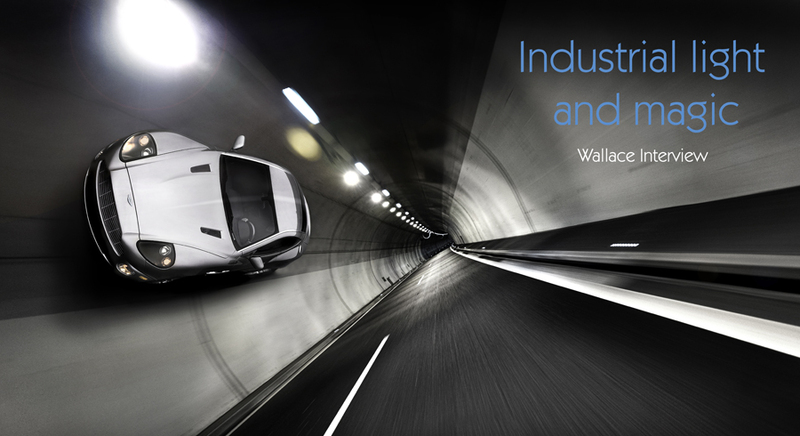 Tim Wallace is the world’s most renowned and pre- eminent Aston Martin photographer. 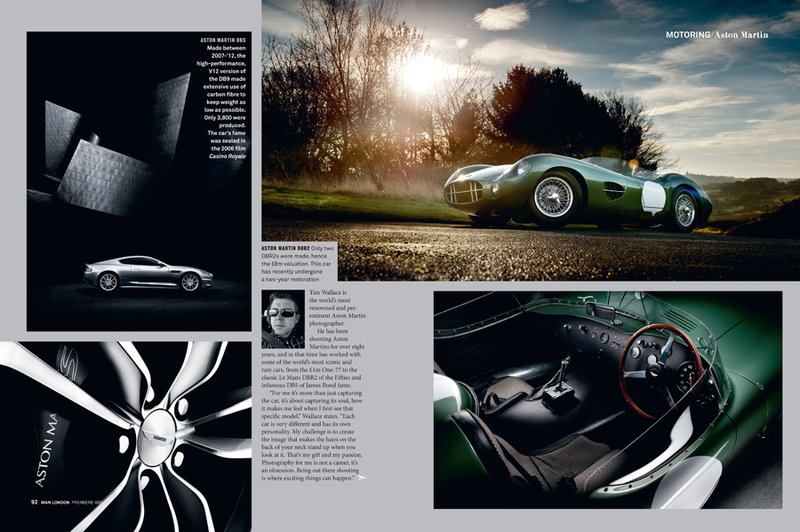 He has been shooting Aston Martins for over eight years, and in that time has worked with some of the world’s most iconic and rare cars, from the £1m One-77 to the classic Le Mans DBR2 of the Fifties and infamous DB5 of James Bond fame.